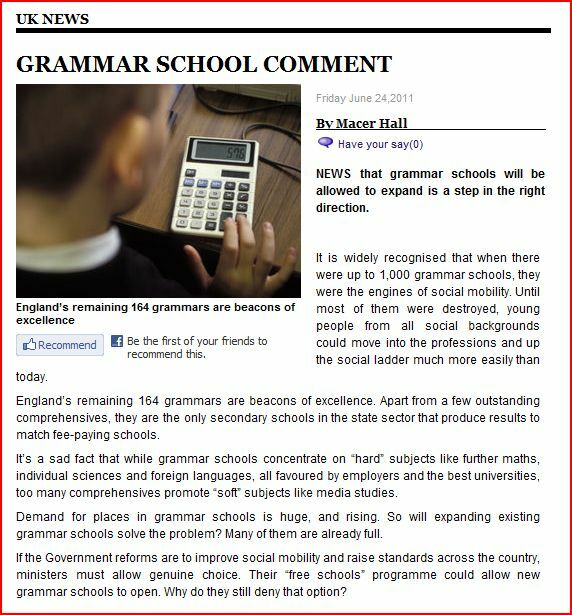 While Northern Ireland Education Minister, John O’Dowd pushes forward with his undemocratic removal of grammar schools by denying parents choice, the opposite is happening in England. 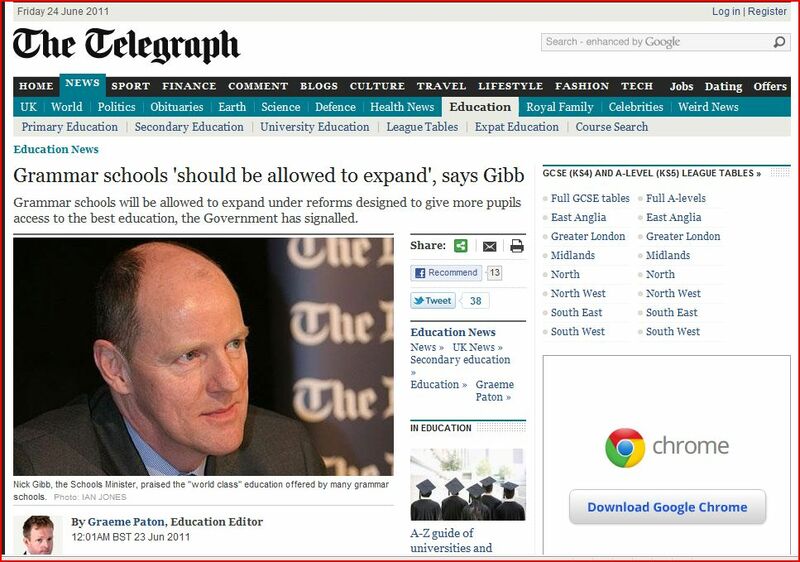 Nick Gibb has called for the expansion of grammar school places. 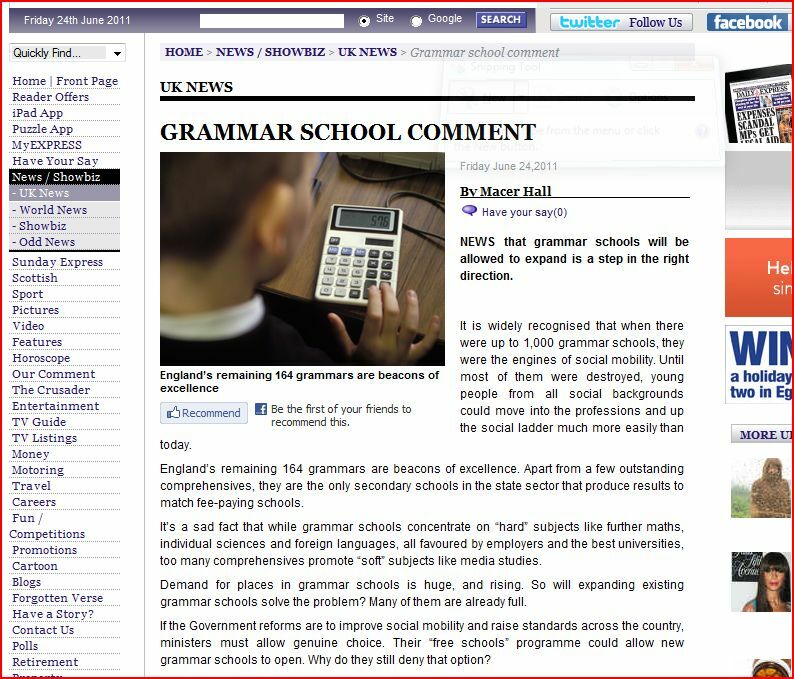 His support for the aims of the National Grammar Schools Association is to be welcomed. There can be little wonder about O’Dowd’s reluctance to admit the failures of comprehensive education available across the Irish Sea. Forty- plus years of evidence is inconvenient for Sinn Fein. 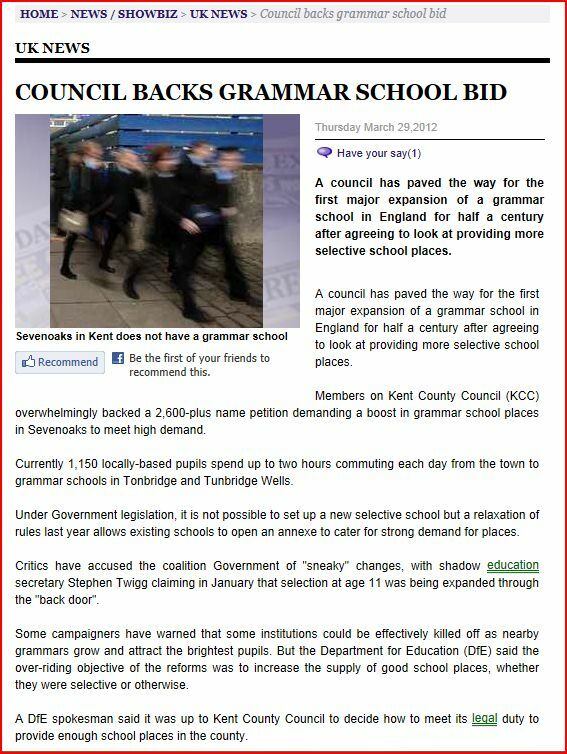 Today’s Daily Express highlights an expansion of grammar school places as a good move.